Healthy pie! It’s a pie that’s been ‘healthified’ and you won’t ever look back. Most unhealthy meals can be tweaked to bring out their healthy side, often all it takes is a few small changes to the recipe. First tip, make your own. 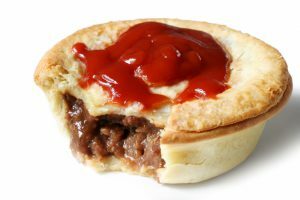 The pre packaged, take – away meat pie options can’t be ‘healthifyied’. What’s done in factory mass-production, is done, and what’s done is often very unhealthy. It’s simple to make your own pie, I show you how in the following tips and recipe below. Add vegetables to your meat filling. An instant health boost! Fill the pastry with your choice of meat, and add vegetables including fresh tomatoes and legumes to increase vitamins, minerals and fibre to your meal. If you plan to eat your pie with side salad or vegetables, don’t let that stop you from adding vegetables to your meat filling. Your plate should be brimming with vegetables, and this is a great way to accomplish that. Use herbs, spices and healthy sauces such as tamari (soy sauce) to add flavour to your meat. Using these natural, healthy flavourings are a great substitute for the typical greasy gravy you’d find in pre-made pies. Healthy squirt on top – there are 2 options here. Tomato sauce/ketchup goes hand in hand with pie, but ditch the unhealthy sugar-filled versions. Either make your own or search your health food shop or supermarket aisle for natural, sugar-free alternatives. 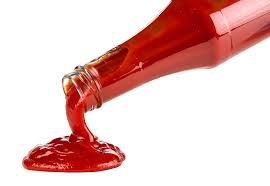 If you’re in Australia and would like to know healthy, sugar free tomato sauce/ketchup available in supermarkets – comment below and I’ll share my find! Preheat your oven to 180C (350F). Line your pie dish with baking/parchment paper. 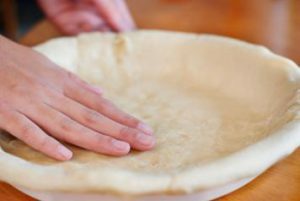 Place one sheet of pastry on the base of your lined pie dish, and manipulate it to shape – leaving the edges to hang over the dish. Heat a large pan to medium heat, add your oil, onion and garlic to sauté them for approx. 3 minutes. Once softened and sautéed, remove them from the pan and place aside while keeping. Turning up the heat with your pan, add your meat and cook until browned, constantly breaking the meat apart so it doesn’t form clumps. Once meat is browned, reduce the heat and add your fresh tomatoes and vegetables. Stir and combine for approx. 3 minutes or until tomatoes have softened. Add your basil, curry powder and tamari sauce and sautéed onion & garlic to the pan, mix well. Remove from heat, add lentils to the pan and combine. Transfer your filling from the pan to the pastry lined pie dish. Using another sheet of pastry, place it on top of the pie dish as a cover to your pie. Trim the sides using a knife and using your fingers, press down the edges to join 2 pieces of pastry. Place pie into the oven for approx. 40 minutes or until pastry turns golden brown. This pie tastes best served hot, straight from the oven. Leftovers can be frozen for up to 3 months or kept in the fridge in an airtight container for up to 3 days. Hope you enjoy this recipe as much as we do! Questions or comments? Message me below. Join 100's of others to receive special offers, competitions, recipes and latest event news.